Ancient Han Chinese scientists, engineers, astronomers, philosophers, mathematicians and medical doctors made significant innovations, scientific discoveries and technological advances in science, technology, engineering, medicine, military technology, mathematics, geology and astronomy. Among the earliest inventions were the abacus, the "shadow clock," and the first items such as Kongming lanterns. 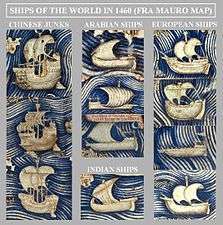 The Four Great Inventions: the compass, gunpowder, papermaking, and printing, were among the most important technological advances, only known to Europe by the end of the Middle Ages 1000 years later. The Tang Dynasty (AD 618 - 906) in particular, was a time of great innovation. A good deal of exchange occurred between Western and Chinese discoveries up to the Qing Dynasty. 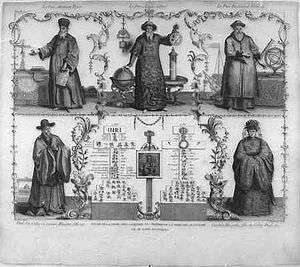 The Jesuit China missions of the 16th and 17th centuries introduced Western science and astronomy, then undergoing its own revolution, to China, and knowledge of Chinese technology was brought to Europe. In the 19th and 20th century the introduction of Western technology was a major factor in the modernization of China. Much of the early Western work in the history of science in China was done by Joseph Needham. Using shadow clocks and the abacus (both invented in the ancient Near East before spreading to China), the Chinese were able to record observations, documenting the first recorded solar eclipse in 2137 BC, and making the first recording of any planetary grouping in 500 BC. These claims, however, are highly disputed and rely on much supposition. The Book of Silk was the first definitive atlas of comets, written c.400 BC. It listed 29 comets (referred to as sweeping stars) that appeared over a period of about 300 years, with renderings of comets describing an event its appearance corresponded to. 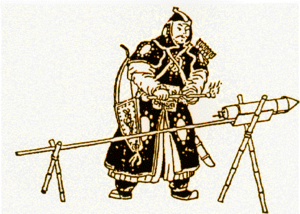 The Eastern Han Dynasty scholar and astronomer Zhang Heng (78-139 AD) invented the first water-powered rotating armillary sphere (the first armillary sphere having been invented by the Greek Eratosthenes), and catalogued 2500 stars and over 100 constellations. In 132, he invented the first seismological detector, called the "Houfeng Didong Yi" ("Instrument for inquiring into the wind and the shaking of the earth"). According to the History of Later Han Dynasty (25-220 AD), this seismograph was an urn-like instrument, which would drop one of eight balls to indicate when and in which direction an earthquake had occurred. On June 13, 2005, Chinese seismologists announced that they had created a replica of the instrument. The mechanical engineer Ma Jun (c.200-265 AD) was another impressive figure from ancient China. Ma Jun improved the design of the silk loom, designed mechanical chain pumps to irrigate palatial gardens, and created a large and intricate mechanical puppet theatre for Emperor Ming of Wei, which was operated by a large hidden waterwheel. However, Ma Jun's most impressive invention was the south-pointing chariot, a complex mechanical device that acted as a mechanical compass vehicle. It incorporated the use of a differential gear in order to apply equal amount of torque to wheels rotating at different speeds, a device that is found in all modern automobiles. One of the most important military treatises of all Chinese history was the Huo Long Jing written by Jiao Yu in the 14th century. For gunpowder weapons, it outlined the use of fire arrows and rockets, fire lances and firearms, land mines and naval mines, bombards and cannons, along with different compositions of gunpowder, including 'magic gunpowder', 'poisonous gunpowder', and 'blinding and burning gunpowder' (refer to his article). Among the engineering accomplishments of early China were matches, dry docks, the double-action piston pump, cast iron, the iron plough, the horse collar, the multi-tube seed drill, the wheelbarrow, the suspension bridge, the parachute, natural gas as fuel, the raised-relief map, the propeller, the sluice gate, and the pound lock. The Tang Dynasty (618–906 AD) and Song Dynasty (960-1279 AD) in particular was a time of great innovation. 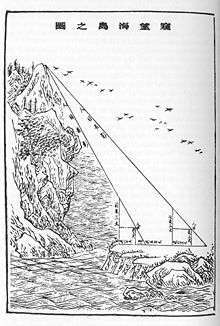 A 1726 illustration of The Sea Island Mathematical Manual, written by Liu Hui in the 3rd century. Despite this, Chinese thinkers of the Middle Ages proposed some hypotheses which are in accordance with modern principles of science. Yang Hui provided theoretical proof for the proposition that the complements of the parallelograms which are about the diameter of any given parallelogram are equal to one another. Sun Sikong (1015–1076) proposed the idea that rainbows were the result of the contact between sunlight and moisture in the air, while Shen Kuo (1031–1095) expanded upon this with description of atmospheric refraction. Shen believed that rays of sunlight refracted before reaching the surface of the earth, hence the appearance of the observed sun from earth did not match its exact location. Coinciding with the astronomical work of his colleague Wei Pu, Shen and Wei realized that the old calculation technique for the mean sun was inaccurate compared to the apparent sun, since the latter was ahead of it in the accelerated phase of motion, and behind it in the retarded phase. Shen supported and expanded upon beliefs earlier proposed by Han Dynasty (202 BCE–202 CE) scholars such as Jing Fang (78–37 BCE) and Zhang Heng (78–139 CE) that lunar eclipse occurs when the earth obstructs the sunlight traveling towards the moon, a solar eclipse is the moon's obstruction of sunlight reaching earth, the moon is spherical like a ball and not flat like a disc, and moonlight is merely sunlight reflected from the moon's surface. Shen also explained that the observance of a full moon occurred when the sun's light was slanting at a certain degree and that crescent phases of the moon proved that the moon was spherical, using a metaphor of observing different angles of a silver ball with white powder thrown onto one side. It should be noted that, although the Chinese accepted the idea of spherical-shaped heavenly bodies, the concept of a spherical earth (as opposed to a flat earth) was not accepted in Chinese thought until the works of Italian Jesuit Matteo Ricci (1552–1610) and Chinese astronomer Xu Guangqi (1562–1633) in the early 17th century. In his book Guns, Germs, and Steel, Jared Diamond postulates that the lack of geographic barriers within much of China – essentially a wide plain with two large navigable rivers and a relatively smooth coastline – led to a single government without competition. At the whim of a ruler who disliked new inventions, technology could be stifled for half a century or more. In contrast, Europe's barriers of the Pyrennes, the Alps, and the various defensible peninsulas (Denmark, Scandinavia, Italy, Greece, etc.) and islands (Britain, Ireland, Sicily, etc.) led to smaller countries in constant competition with each other. If a ruler chose to ignore a scientific advancement (especially a military or economic one), his more-advanced neighbors would soon usurp his throne. This explanation, however, ignores the fact that China had been politically fragmented in the past, and was thus not inherently disposed to political unification. After the establishment of the People's Republic in 1949, China reorganized its science establishment along Soviet lines. From 1975, science and technology was one of the Four Modernizations, and its high-speed development was declared essential to all national economic development by Deng Xiaoping. Scientific research in nuclear weapons, satellite launching and recovery, superconductivity, high-yield hybrid rice led to new developments due to the application of science to industry and foreign technology transfer. As the People's Republic of China becomes better connected to the global economy, the government has placed more emphasis on science and technology. This has led to increases in funding, improved scientific structure, and more money for research. These factors have led to advancements in agriculture, medicine, genetics, and global change. In 2003, China became the third country to send humans into space. ↑ F. Espenak. "Solar Eclipses of Historical Interest". ↑ Nathan Sivin, "Taoism and Science" in Medicine, Philosophy and Religion in Ancient China (Variorum, 1995). Retrieved on 2008-08-13.